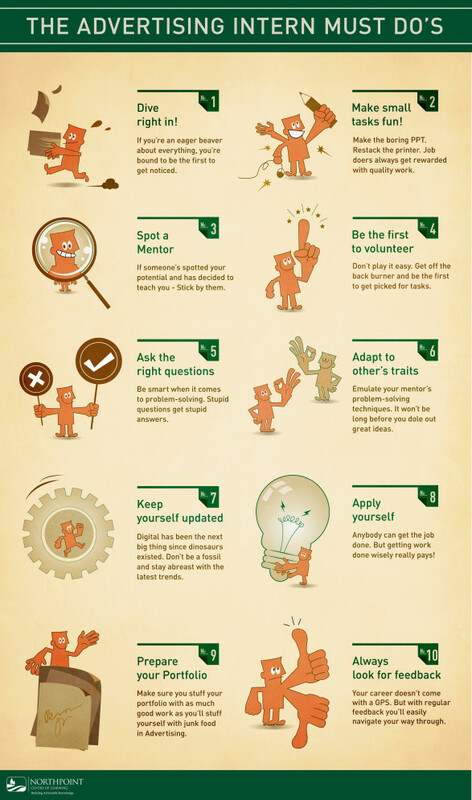 The following 10 tips infographic is ostensibly for advertising interns wanting to get ahead and cement their position in a business. Reading through the tips though I was struck by how relevant they would be in pretty much every career / industry I've worked in. They come down to applying yourself correctly; getting yourself noticed by - and ensuring you influence - the right people; being proactive and controlling the things you can control in your career. I wanted to share the infographic as a great resource for anyone you know about to start a new job - or indeed for any graduates you know breaking onto the employment scene for the very first time. Who do you know who would really benefit from these pointers?